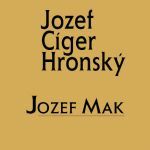 After the Czechoslovak Republic was established in 1918, Slovak literature began to focus more on aesthetic and national-defensive functions. This led to ‘opening windows’ to Europe and to the orientation of literature towards modern artistic directions. Readers particularly favoured vitalistic poetry by Ján Smer. Emil Boleslav Lukáč and partly Valentín Beniak developed poetics of new symbolism in their poems. The poetry of Ladislav Novomeský was mostly inspired by artistic avant-garde, especially by the poetry of G. Apollinaire and by the Czech poetism. In the middle of the 1930s, thanks to the international surrealist movement, modernist avant-garde tendencies culminated in Slovak poetry. Their impetuses also survived the time of the Second World War. In prose after 1918, more genres and styles were culminating at the same time. There were three dominant trends: the tendency towards New Realism, socially engaged literature and the works of experimenters. Realism after the Second World War was represented alongside older authors (Ladislav Nádaši-Jégé, Janko Jesenský, Rázus Martin etc.) by authors like Jozef Cíger Hronský, Milo Urban, Geza Vámoš and Peter Jilemnický. Their works were marked by impetuses of expressionism, impressionism and social psychologism. Various experimental methods can be seen in the works of Ján Hrušovský, Ivan Horváth, Janko Alexy, Štefan Letz and Milan Th. Mitrovský. Lyrical techniques that were present in the works of Slovak Modernist prose writers were further developed by the authors of expressionist-lyrical ornamentalism (Tido J. Gašpar, Jozef Cíger Hronský, Milo Urban). Impressionist-sensualistic line of lyric prose completed the process of overcoming Kukučín’s model of descriptive realism. In the late 1930s there formed a group from the above mentioned authors – the Naturists (Ľudo Ondrejov, Margita Figuli, Dobroslav Chrobák, František Švantner), whose works were mainly influenced by French regionalists (J. Giono and others). They were looking for a naturalistic man and his clean naturalistic world. Deep philosophical reflections on a naturalistic man confused by the consequences of civilization progress were also present in the dramas written by Július Barč-Ivan, who was until 1945 was the only consistently writing Slovak expressionist playwright. During the Second World War there was a loose group of ‘subject poets’ formed from authors of naturalistic epic line (Dominik Tatarka, Ján Červeň, Peter Karvaš) who followed the author’s method of imaginative-intellectual realism.